"Sugar Baby" has been the subject of at least three different artists. Click on an image to view a larger display. 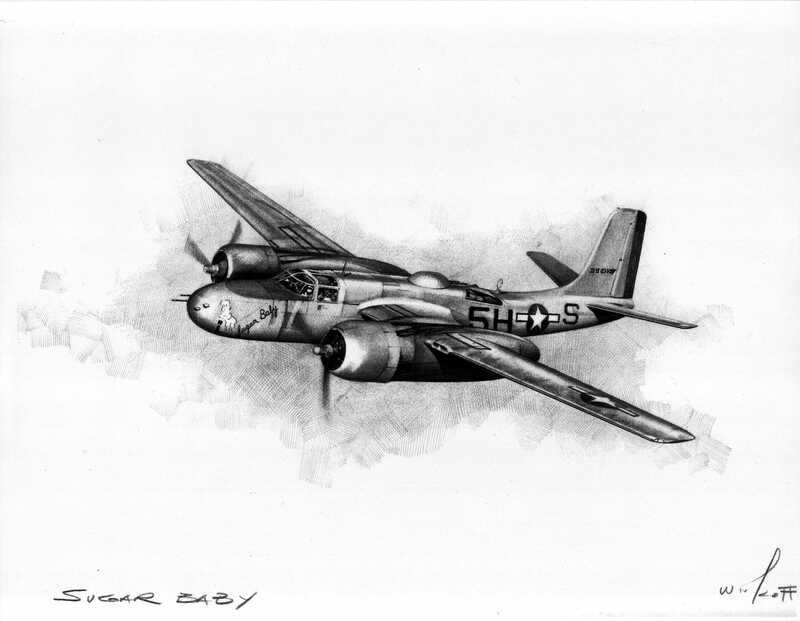 Aviation Artist Dan Witkoff drew "Sugar Baby" as a Christmas gift for his Father-in-Law, Lee Ferguson. Lee was one of the two gunners who trained with my father prior to their overseas transfer. 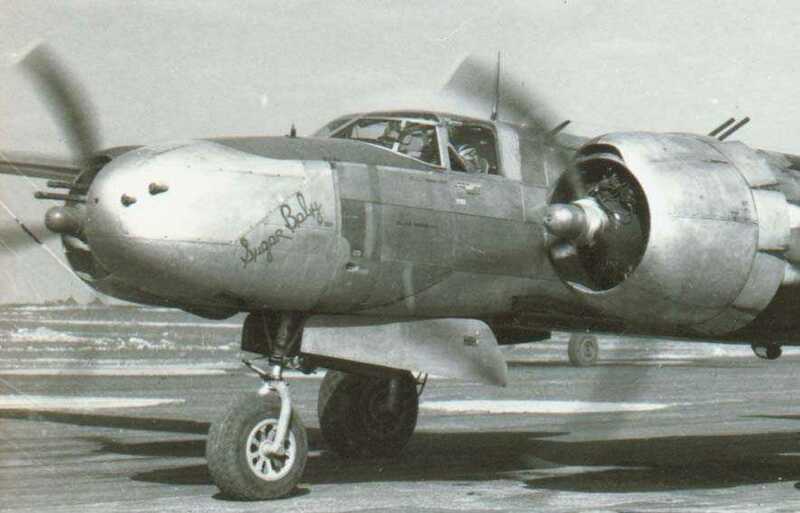 Lou and Lee flew 17 combat missions together, several in "Sugar Baby", while stationed in the ETO. Lee and his bride Bert on a couple occasions prior to their passing. which I now have proudly framed and displayed. 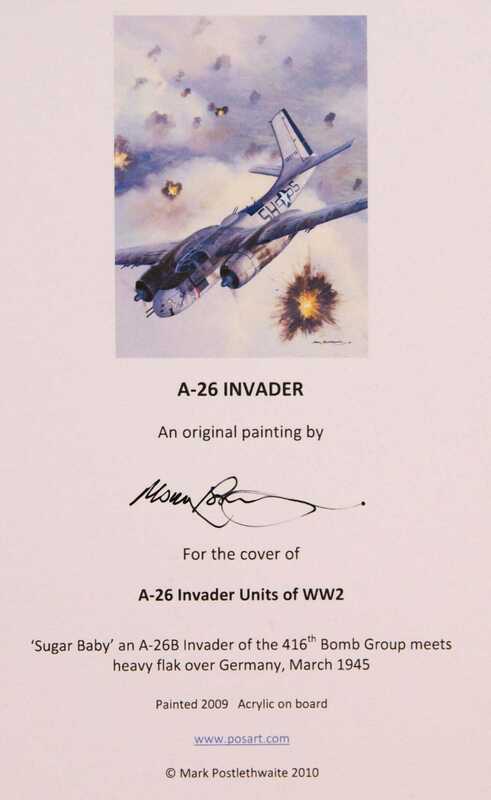 Jim Roeder wrote A-26 Invader Units of World War 2 which was published in 2010.
and Jim and Mark decided to use "Sugar Baby" as the subject. When I purchased my copy of this book, I was so excited I showed it off to my friends and co-workers. "Sugar Baby" painting. They had it professionally framed and presented it to me as a surprise. along with the Certificate of Authenticity (below), with great pleasure. 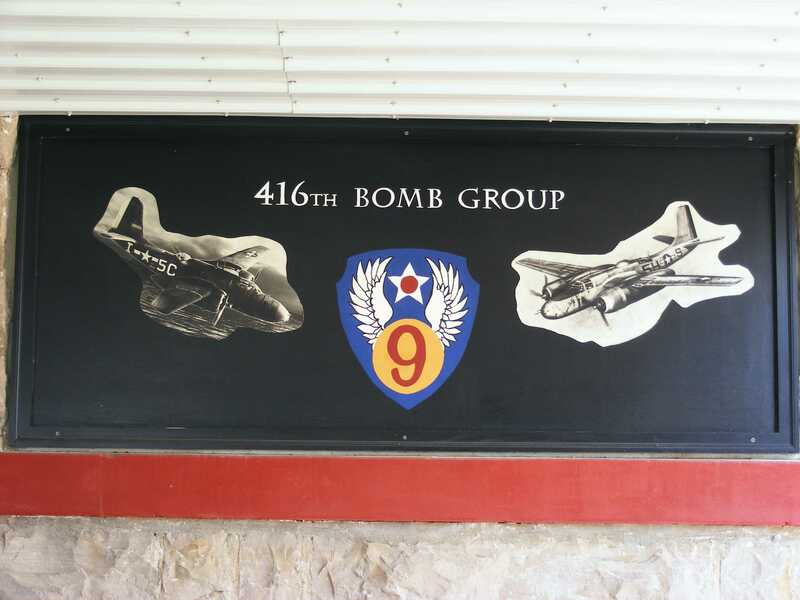 Gainesville, Missouri as the Headquarters for the non-profit 416th Bomb Group (L) Archive. 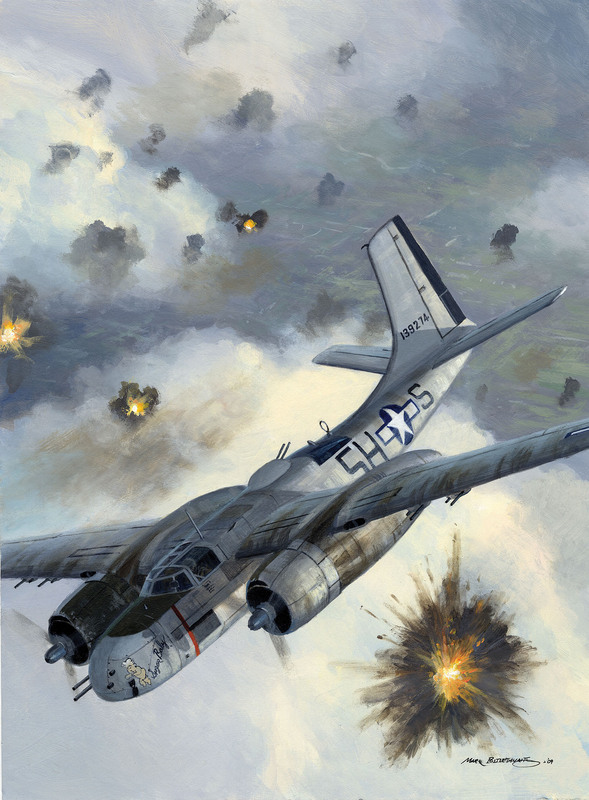 Jack Steward on their fatal mission of April 10, 1944 with "Sugar Baby" to the right of the Shield. 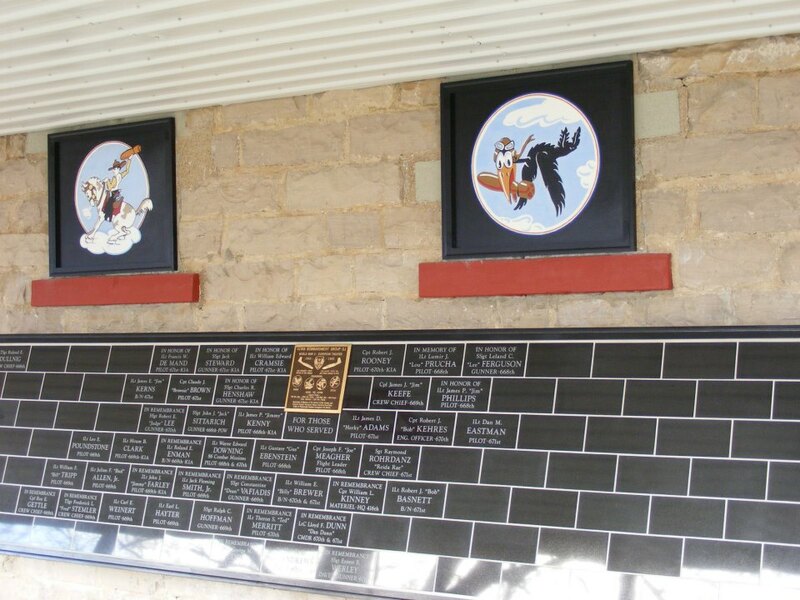 416th BG along with tiles listing 416th BG Honorees.